In first week February, Cirtec and its partner in UAE Prismo Gulf have boosted on the ground actions with the target of performing a trial test section for Al Ain Municipality, as well as including RARx into technical specifications of this public administration. So, several meetings have been carried out with technical staff from AAM, in order to solve some questions previous to next production and laying on of a RARx trial test section. 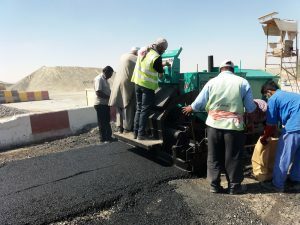 In the same way, a little RARx asphalt mix trial test has been done in Al Fahjan facilities (manufacturer of RARx asphalt mix), getting good results regarding to production and laying on the ground. 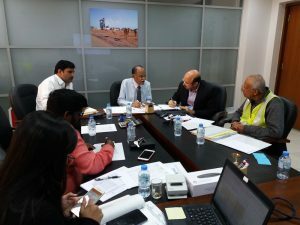 Cirtec and Prismo Gulf have made RARx presentation in other technical meeting with Dar Al-Handasah consultant company, responsible of designing pavements for Dubai airport and with presence in all surrounding countries.